Whilst downtown Tokyo offers a seemingly endless array of sightseeing possibilities, sadly not enough visitors get the chance to broaden their horizons and travel beyond the city limits. Included below are but a small selection of less travelled destinations on the fringes of Tokyo (all within 3 hours of Shinjuku Station) waiting to be explored. Most won’t be found in your guide books but nonetheless make worthwhile day trips, providing an opportunity to check out some stunning rural landscapes. Check out our second instalment of Lesser Known Places to Visit near Tokyo Part #2. Many tourists get the impression that Tokyo is nothing more than a concrete jungle with little in the way of unspoiled ecosystems; thankfully places such as the Hossawa Falls prove the contrary. This four level 60 metre (195 foot) waterfall is even included in the One Hundred Waterfalls of Japan. The waterfall is located in the scenic Hinohara Village and is only a 10 minute walk from the bus stop. Weekends can sometimes get a little hectic so best advice is to shoot for an early bus to avoid the crowds. For those feeling a little more energetic a trip to the falls can be combined with a hike to nearby Mount Sengenrei. Access: Take a Chuo Line train towards Ome and transfer at Haijima for Musashi-Itsukaichi Station. From the station take a 20 minute bus ride and get off at the Hossawa no taki iriguchi bus stop. As the closest of the sightseeing locales, Sayama Hills located in the commuter town of Higashimurayama feels more like rural Japan than outer suburbia. Four smaller parks combine to make up the expansive 3,500 hectare woodlands including two reservoirs, Tama Lake and Sayama Lake which supply drinking water to the capital. While Sayama Park is a popular family picnic area there are plenty of secluded pockets ideal for nature walks, bird watching and mountain biking amongst the mixed species forests. Access: The Metropolitan Sayama Park is a 3 minute walk from the south exit of Seibu Yuenchi Station while transferring to the quaint Seibu Yamaguchi Line to Seibu Stadium-mae provides access to Sayama Lake. 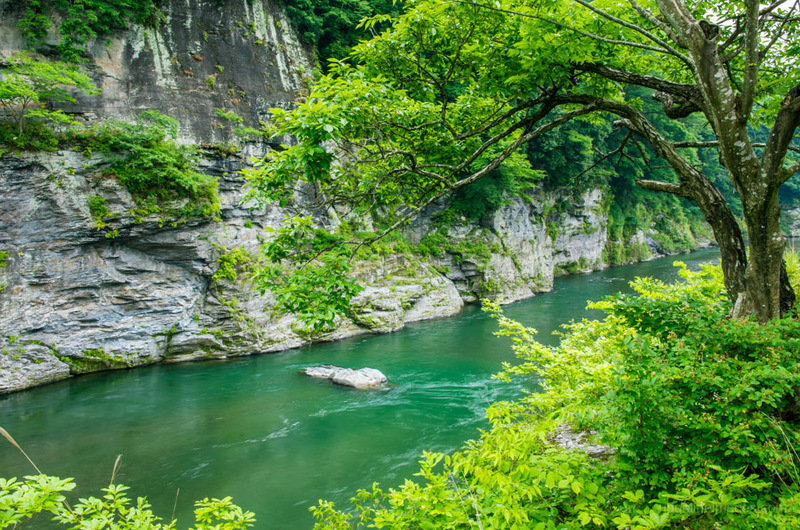 Situated in the picturesque Chichibu District of Saitama Prefecture the Nagatoro River, is synonymous for traditional longboats and whitewater rafting, whisking adventurer seekers alongside its precipitous cliffs. The township of Nagatoro has been designated a prefectural nature park which means there are plenty of family friendly activities including nature walks, visiting the Mt. Hodosan Shrine or taking a 5 minute cable car ride up its namesake mountain. Access: From Ikebukuro take a Seibu limited express train bound for Seibu Chichibu Station. Make a short walk to Ohanabatake Station and transfer to the Chichibu Main Line for Nagatoro Station. Showa Memorial Park is a 165 hectare National Government Park about a 40 minute train ride from Shinjuku Station. The park is great to visit year round with seasonal flowers adding some colour even through the winter months. Noteworthy is the crisscrossed network of cycling paths and bikes including tandem’s are available for hire. In addition the park includes several playgrounds including a Children’s Forest and rainbow pool, BBQ facilities and for couples looking for something quieter there is always pedal boating on the artificial lake. Access: From Shinjuku take a Chuo Line train bound for Ome and get off at Nishi Tachikawa Station which closest to the park. Entry fee adults 410 yen / children 80 yen. With all the stress that comes with living in Tokyo it’s nice to know there is a place set aside to revitalise one’s health. The 197 hectare Tokyo Citizen’s Forest created in 1995 is a good example of a sustainably managed recreational area near Tokyo that caters for a cross-section of visitors. The popular 20 minute walk to the Otaki Waterfall has even been designated one of Japan’s growing number of Forest Therapy Roads. With a little more time its possible to make a longer three and a half hour hike which dips over nearby Mount Mito. Access: Take a Chuo Line train towards Ome and transfer at Haijima for Musashi-Itsukaichi Station. From the station it’s a 60 minute ride to Kazuma bus stop, from here a free shuttle bus runs up to the main car park. The temples and statues which make up the Hakuunsan ‘White Cloud Mountain’ Torii Kannon in Naguri Village are the life work of sculptor Yataro Hiranuma who spent over 30 years amassing the collection. 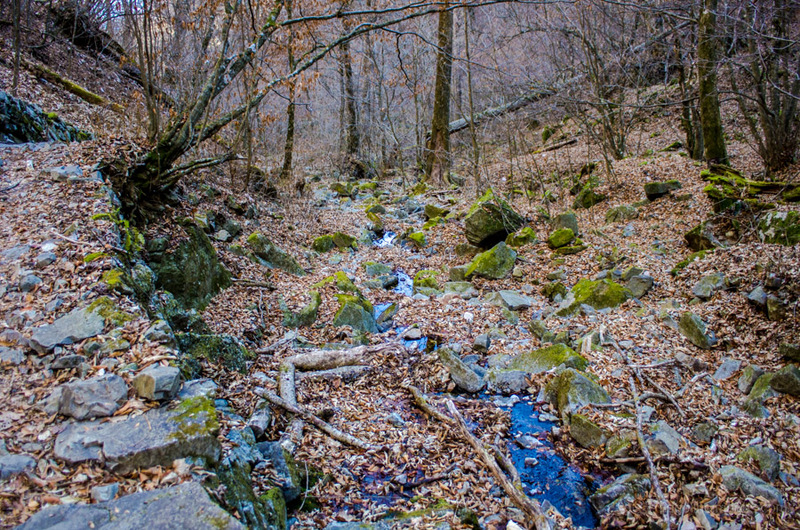 With no shortage of forests and landscaped gardens to admire the area remains a drawcard for tourists and hikers alike. From the car park the round trip to the main temple and back takes a leisurely 90 minutes. While the mountain is most popular during the autumn foliage season the diverse plant life means the opportunity to see flowers in bloom throughout the year. Access: Easiest way to visit is by car as public transport is limited. From Ikebukuro take a Seibu Ikebukuro Express train to Hanno Station. Transfer for a bus bound for Naguri shako or Yunosawa and get off at of Renkeibashi Teiryuusyo which is a 5 minute walk from the Torii Kannon. Entry fee adults 200 yen / children 100 yen. As the most northerly region in Kanto, the Nasu highlands are a bit of a stretch for a day trip and probably best broken over two days. The area is famed for its hot spring resorts but it’s the fresh mountain air and cooler temperatures in summer that ensure a steady flow of visitors. Mount Nasudake is a popular hiking destination with a cable car ferrying day-trippers within 45 minutes of the summit. Little less strenuous diversions include the Momijidani Suspension Bridge, Sesshoseki Murder Stone and for families at the Nasu Animal Kingdom, children can hand feed the resident capybaras. Access: The Nasushiobara region can be reached by local or rapid trains along the JR Utsunomiya Line from Tokyo’s Ueno Station with a one way trip taking around three hours. Nasu Animal Kingdom entry fee adults 1,800 yen / children 1,000 yen (additional 700 yen all-you-can-eat BBQ). While not as well-known as Tokyo’s own Nippara Cave, the Fujido Limestone Cave in Uneo Village, Gunma Prefecture remains Kanto’s largest. The cave stretches over two kilometres and maintains a constant 11 degrees throughout the year making it the perfect place to head to in summer. It may not provide the spelunking challenges of some larger caves, however the 40 minutes or so it takes to walk through includes some striking stalactite and stalagmite formations. Entry fee adults 600 yen / children 400 yen. Access: Easiest way to visit the caves is by car as public transport is limited. From Shinjuku take a JR Shonan-Shinjuku Line train (via Takasaki Line) to Shinmachi Station and transfer for a 2 hour bus ride to Uenomura Yakuba (Ueno Village town hall). From there, it’s just over an hours walk. Entry fee adults 600 yen / children 400 yen. The small township of Okutama lies within Chichibu-Tama-Kai National Park on the western fringe of Tokyo. The area is a haven for nature starved Tokyoites with various outdoor activities including hiking, camping and fishing available. The nearby Lake Okutama supplies the vast amount of Tokyo’s drinking water and is only a 15 minute bus ride from Okutama Station. For those with more time can try walking the Okutama Mukashi-michi, a 10 km trail from Okutama Station to the Ogouchi Dam. From the dam wall nice views are afforded through the valley and at the Mizu-to-Midori-no-Fureaikan museum you can learn about the culture and history of the Okutama area. At the end of the day relax at the Batoukan hot spring which is located beside the floating pedestrian bridge. Access: Take a Chuo Line train for Ome and transfer for Okutama. At Okutama Station take a Nishi Tokyo bus bound for Lake Okutama. Batoukan hot spring 1,000 yen. Tokyo has a Peace Pagoda? This is one sightseeing place you’re definitely not going to find in your guide book. It comes as a surprise to many Japanese that Tokyo does in fact have its own peace pagoda on Mount Odera overlooking Okutama Lake. This Buddhist stupa opened in 1974 with much fanfare but unfortunately over the years fell into a state of disrepair. Thankfully all is not lost as restoration works are underway in earnest that will hopefully return the glistening white Tokyo Peace Pagoda back to its former self. Hiking up to the pagoda takes around an hour and provides some scenic views over the lake and valley below. Access: Access: Take a Chuo Line train for Ome and transfer for Okutama. At Okutama Station take a Nishi Tokyo bus bound for Miyamabashi which is near the trail head intersection. Hassawa Falls looks particularly beautiful. Thanks for that Daniel 😉 When I arrived it was pretty early and the morning rays were just starting to hit so good timing also I guess. Lovely photos. The Sayama Hills look wonderful! Very kind of you to say so Grace. The Sayama Hills is definitely one of more beautiful spots to spend the afternoon in Tokyo. Lovely photography David, Specially loved the colors in Showa Park. Is it the same color all over the park? must be a sight to watch. Thank you so much! Showa Park is absolutely beautiful through the autumn and while the brilliant yellow ginkgo trees are prominent there are also plenty of maple trees. Nice info specially Hossawa Falls and Sayama Hills…I will definitely check it out. Your blog is great! More power! Thanks Sanberth, both those places you mention are definitely worth a visit. During winter the Hossawa Falls apparently freeze over which would make it pretty awesome to check out. Cool, Im planning to go to Mitosan these winter and I will definitely add this to my side trip 🙂 Being in Hino-shi makes these areas accesible. Your blog definitely helped a lot as majority of my climbs was based on yours 😉 Thanks! Nice photos. I’ve been to three of your ten: Nagatoro, Nasu Kogen, and Okutama Lake. I’d like to do the hike around the lake once again, and go to Nagatoro in the fall. I’ve only been there in cherry blossom season. Thanks for that. I went to Nagatoro about a month ago but was a tad early for the autumn colours. If you’re heading out to Okutama Lake again it’s worth taking a hike up to the peace pagoda. I looked it up and I’ll check out the pagoda the next time I go there. I think I remember there being a sign pointing the way to it but going around the lake was the purpose of that particular trip. I have just arrived in Tokyo as an English teacher at Mainichieikaiwa. I am starting to explore the city on my days off. Thanks for this information about the best places to visit here! Awesome Photos. Love the autumn colors in the Showa Park picture. Very nice of you to say so Tom 🙂 You’re right, the leaves in Showa Park are quite exquisite in the fall.